Browse: Home / certstreamcatcher – Catching phishing by observing certificate transparency logs. 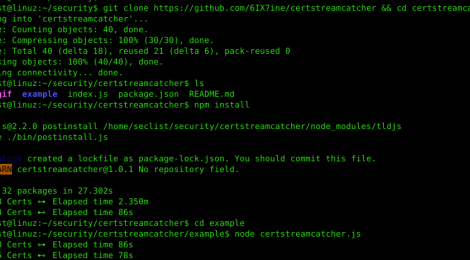 certstreamcatcher – Catching phishing by observing certificate transparency logs. Catching phishing by observing certificate transparency logs. certstreamcatcher is based on regex with effective standards for detecting phishing sites in real time using certstream. The certstreamcatcher is extremely simple, all you have to do is to import the library certstreamcatcher and certstream register the callback and call certstreamClientPhishing and pass the callback parameter to certstreamClientPhishing. ← wowned – Authentication bypass for outdated WoW emulation authentication servers.